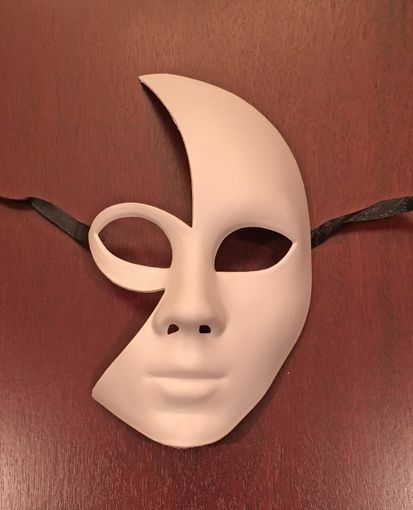 This unpainted Venetian mask has a unique shape. Mask is made of a non bendable PVC and is ready to paint. Mask also has an area on the backside of mask to mount a stick. Mask comes with black ribbon ties.